The Occupational Safety and Health Administration, better known as OSHA, is the federal agency responsible for promoting workplace safety. OSHA regulations deal with specific safety precautions that must be followed to protect workers from injury. If you’ve been injured in workplace accident caused by an OSHA violation, it’s important to understand how this may affect your legal rights. OSHA is concerned with a broad range of conditions that pose a risk to workers, such as falling from an unstable ladder or being exposed to toxic fumes from industrial cleaning chemicals. If you see an unsafe working condition that you believe violates OSHA regulations, you should report the unsafe condition to your supervisor to provide your employer a chance to address the issue. If the issue is not addressed and you believe working conditions pose a risk to yourself or others, you can submit a complaint to the regional OSHA office. Your report can be kept anonymous upon request. OSHA will investigate your complaint by contacting your employer to discuss the hazardous condition. In most cases, the fact that someone has filed a complaint isn’t revealed to the employer. OSHA will send you a copy of your employer’s response. 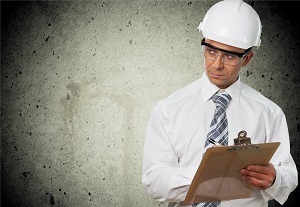 If you’re not satisfied, you can request an on-site OSHA inspection of your workplace. Your employer is required to file a detailed OSHA report within eight hours of an accident resulting in the hospitalization of four or more employees or the death of one or more workers. The report must be provided to all employees and former employees upon request. If a company has 10 or more employees, it must keep records of work-related injuries and illnesses. This report must available upon request. OSHA and workers’ compensation are two separate programs. You don’t receive any benefits from OSHA for reporting unsafe working conditions, even if those conditions caused you to suffer a workplace injury. Since workers’ compensation is a no-fault system, it normally doesn’t matter what caused you to become injured. You can receive benefits whether your injury is your employer’s fault or the result of your own carelessness. Medical benefits that cover necessary treatment such as emergency care, physical therapy, or prescription medications. Temporary Partial Disability (TPD) benefits to make up for lost income if you’re only able to work part time or in a lower-paying light duty position because of your injuries. Temporary Total Disability (TTD) benefits to make up for lost income if you’re not able to work at all because of your injuries. Permanent Partial Disability (PPD) benefits if your injuries have caused a loss of function in a specific part of the body or the body as a whole. Medical expenses, including necessary future medical care related to your condition. Lost wages, including loss of future earning potential related to your condition. Pain and suffering, including both physical pain and emotional trauma. Punitive damages, if the OSHA violation that your case is based on represents extreme intentional negligence. Although it’s possible to handle a worker’s compensation claim for a minor and uncontested injury on your own, accessing your benefits can become more complicated when OSHA violations are involved. The best way to protect your right to benefits, including those from a personal injury claim, is to retain the services of an experienced attorney. Call today to schedule a free, no-obligation initial case review with the legal team at Rechtman & Spevak.